How are you practicing self love this month? As you may or may not be aware of, March is self-love month and at Eckis, we’re pretty big on taking care of ourselves. Today, we’d like to go over why self-love with everyone you surround yourself with is so important, including your higher-ups. 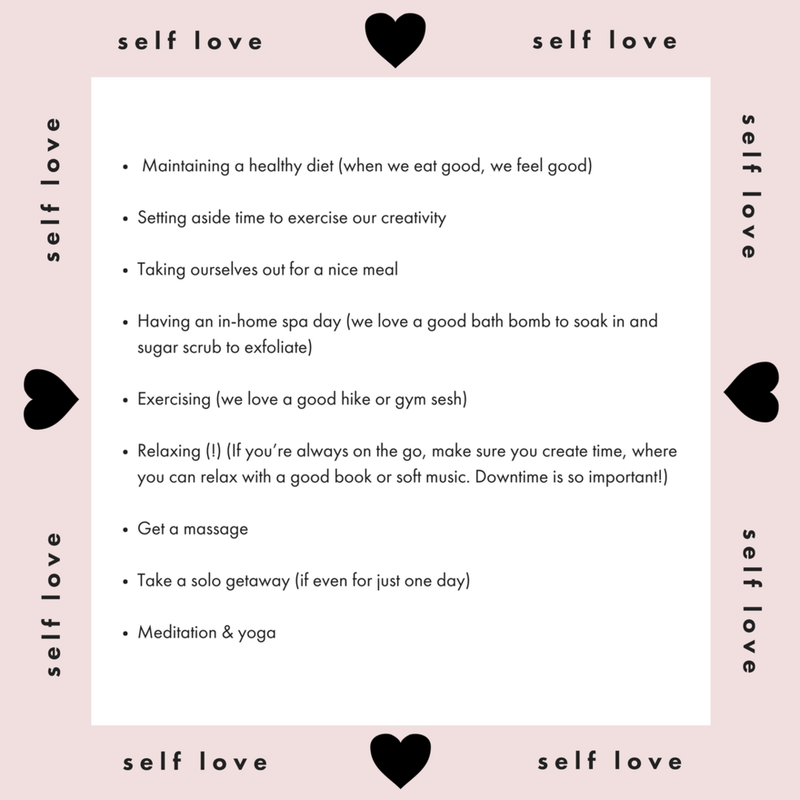 With a busy schedule, we understand self-love can sometimes be forgotten or get lost in the mix but we’re here to remind you to frequently check in on your mental state and set your well being as #1 on your list of priorities. In this post, we really want to emphasize just how important it is to hold your well being high on your list of priorities. Let’s start off by regarding your workplace. Do you feel as though you can talk to your peers or higher-ups if you ever have an issue? Do you feel comfortable when you feel too sick to go in and know you need to call off? If you answered “no” to any of those questions, it might be time to either find a new workspace or address the matters with your management. An article by Forbes Coaches Council, “14 Ways You Can Improve Psychological Safety At Work,” breaks down exactly why psychological safety in the workplace is so important and how to go about receiving the proper care and respect you should be provided by your workplace. This quote sticks out to us the most. Considering the best way to feel comfortable at work when it comes to approaching your management is knowing they care about your well being, it’s important to establish a relationship with them. If you ever feel like you shouldn’t be approaching your management with a personal or work-related issue, it should be addressed immediately with them. If nothing changes from your conversation, consider speaking with Human Resources. If AGAIN nothing changes, it’s time to leave that job. Whether it pays well or not, no job that makes you unhappy is worth sticking around for. Always put your own psychological health first and foremost. What ways can you show yourself respect both in and out of the workplace this month? Now moving along to your personal life: think about your social circle. Are the people you’re surrounding yourself with helping you improve your life or do you consistently feel pulled down by them? Anyone in your life that chooses to bring you down rather than helping you work on bettering yourself, is not worth a second of your time. Whether it’s a friend or family member, any issues should be easy to discuss and if you feel intimidated or as though you’re walking on eggshells with the people around you, it might be time to create a new circle. We are all inherently social beings so it’s only natural that we crave other individuals with whom we can share our ideas, goals, and issues. When you consider someone your close friend, you should be able to be yourself and open up to them without feeling a sense of insecurity. Those you keep in your company should be individuals who push you to be better, who challenge you to improve your life but don’t make you feel bad about not yet being where you want to be in life. You are the captain of your own ship, you get to decide who stays in your life and who doesn’t deserve to be in it. Show yourself self-love in your social circle by only engaging with those who make you feel comfortable and allow you to be yourself 100% of the time. Lastly, the most important area of our self-love topic is showing YOURSELF self-love. The topics mentioned before (work and social) have to do with self-love because you are responsible for the direction in your life but we’d also like to dig deeper into who you are and how you feel about yourself. Change is scary but if you’re unhappy with the person you are, it’s extremely necessary. A word of advice from Eckis: always have a goal or something you’re working toward. Nothing happens overnight; you’ll have to take baby steps toward becoming a person you’re proud of or reaching a goal that sometimes feels a long distance away but in the end, it’s more than worth it. However, even when you become someone you’re happy to be, you’ll run into down times. Whether you deal with depression or anxiety on a regular basis or you only see glimpses of it, it has to be addressed immediately. No matter how you practice self-love and cater to your mental health, we can all agree it’s important. However, your mental state and self-love should be emphasized all throughout the year, not just in March. We hope this blog post reminds you of how valuable your well being is and just how necessary taking care of your mental state it. Love yourself, we do! If you are wanting to take a step out and practice self love - make sure to sign up for our event happening Tuesday March 20th at The Renegade Fit Camp. We have partnered up with Keara McCullough from Babes Who Sweat to provide an amazing evening of tips and training!